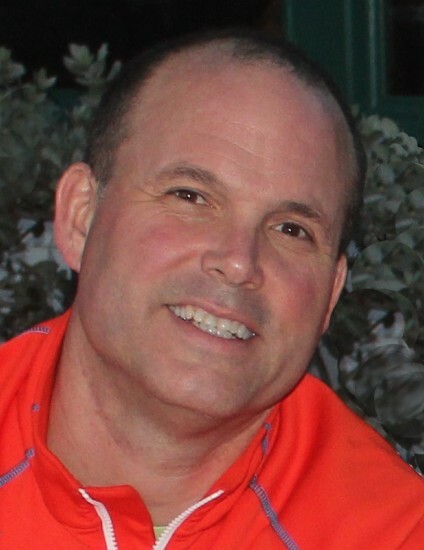 Mark William Shellady, 51, of Glen Ellyn, IL, passed away peacefully at home in the loving company of his wife, children, mother, siblings and in-laws on February 2, 2019, following a courageous 16-month battle with brain cancer. He was born in Des Moines, IA, on April 30, 1967, moved to Naperville, IL in 1973, and graduated from Naperville Central High School in 1985. A gifted athlete in baseball and football, Mark earned a scholarship to pitch for Indiana University’s baseball team. At IU, he was a member of the Sigma Chi Fraternity and graduated with a Bachelor of Science in Public Finance in 1989. Most importantly, it was at Indiana that he met his best friend, Laura. They married in July of 1991, eventually settling in Glen Ellyn, IL with their three treasured children, Geoffrey, Matthew and Sarah in 2003. Family and friends will remember Mark for his example of resolute strength and courage while battling glioblastoma. Mark never gave up. He stayed positive and strong for his family, reflecting the spirit of the “Shellady Strong” support bracelets many wore in his honor. Throughout his illness Mark remained an involved father, loving husband and dear friend. Mark is preceded in death by his father, Ronald Shellady, and his niece, Chloe Shellady. Mark is survived by his wife, Laura Hejl Shellady; his children, Geoffrey, Matthew, and Sarah; his mother, Sue Solger Shellady; his brother, Scott (Mila) Shellady; his sister, Laura (Geoff) Phillips, and nephew and niece, Caden and Isabelle. Visitation will be 11 AM to 1 PM Friday, February 8 with a Celebration of Life Service to follow at 1 PM at First Congregational Church of Glen Ellyn, 535 Forest Avenue, Glen Ellyn, IL. The Shellady family would like to thank friends for their kindness and care. In lieu of flowers, please consider a donation in Mark’s name to: Head for the Cure Foundation or BTB Foundation.